The theme for this hop is 'Your Favourite Colour or Colour Combination'. WELL - THAT'S A NO BRAINER! Hahaha. Yes, my favourite colour is pink! Even though my favourite colour is pink, my favourite colour combination would have to be Melon Mambo, Pink Pirouette and Pear Pizzaz. 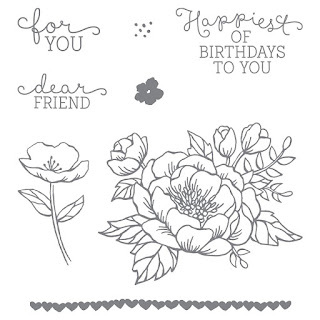 Those little watercolored flowers are from the Birthday Blooms stamp set is such a gorgeous set and also versatile - not just for birthdays! The best thing is that this set is carrying over to the new 2017-2018 Annual Catalogue (which is launching next month...squeal!). I have already used this set so many times and I'm sure you will see me use it again. I am so surprised by your choice of pink, Louise. I wouldn't have guessed it to be your favorite color... I love this. So crisp and clean. You never disappoint. So pretty! 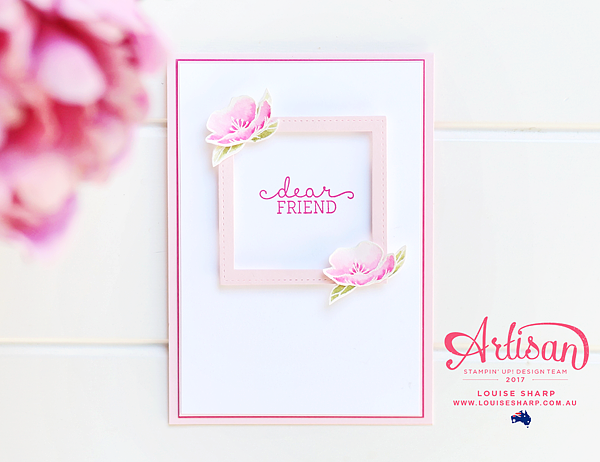 I love the style of embossing in white then adding watercolor; it gives the flowers a delicate feel, but also some deeper depth with the shading. These are so well done and so gorgeous! Absolutely beautiful! LOVE your card. I don't know what it is about this flower (the biggest one), just makes me sick. 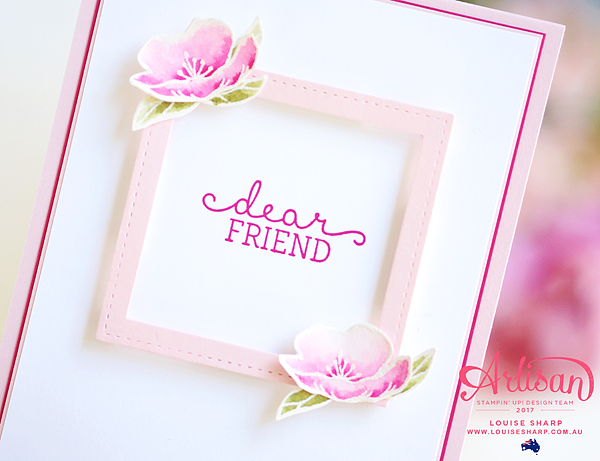 I honestly love the little flowers and the sentiments are really nice. But, that large flower, I cry it makes me so sick. I don't understand the why of it either? I do like your card. The water colored flowers are quite beautiful! TFS!